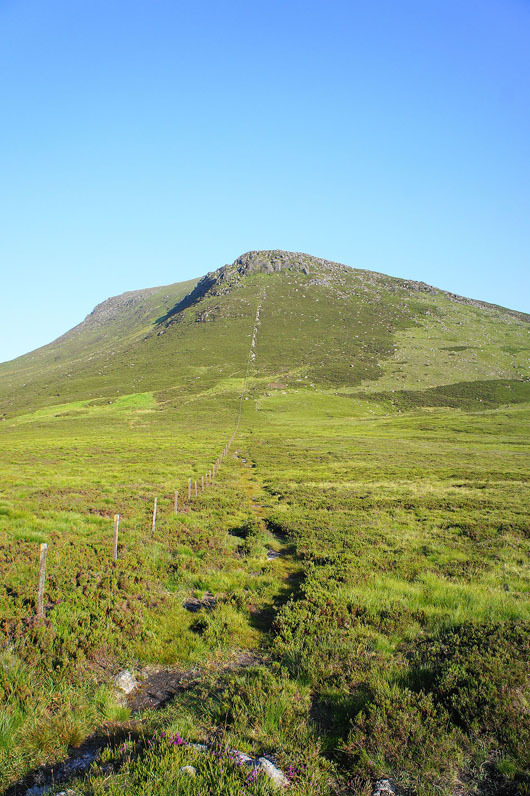 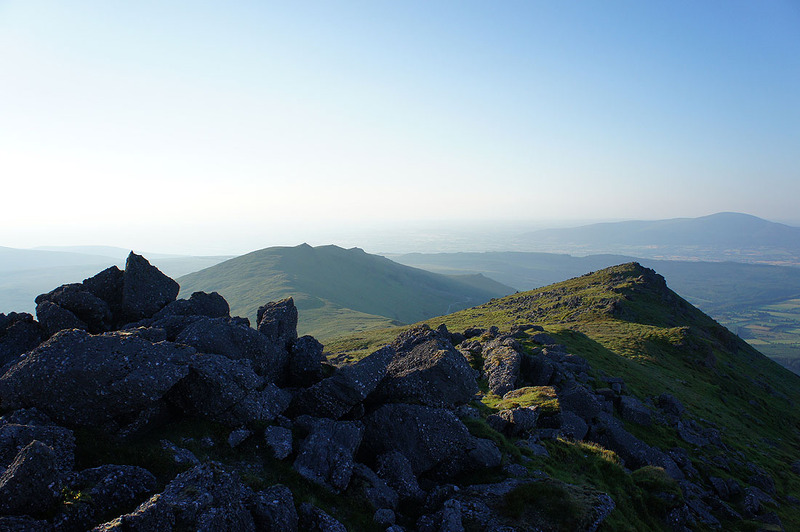 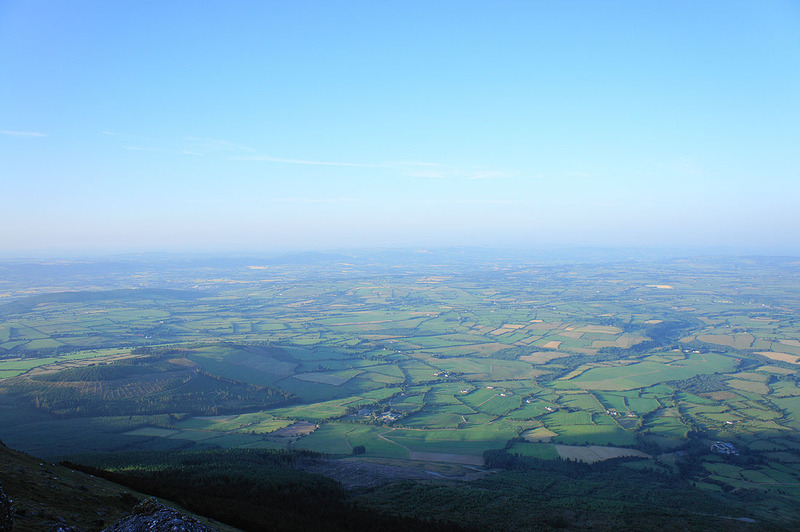 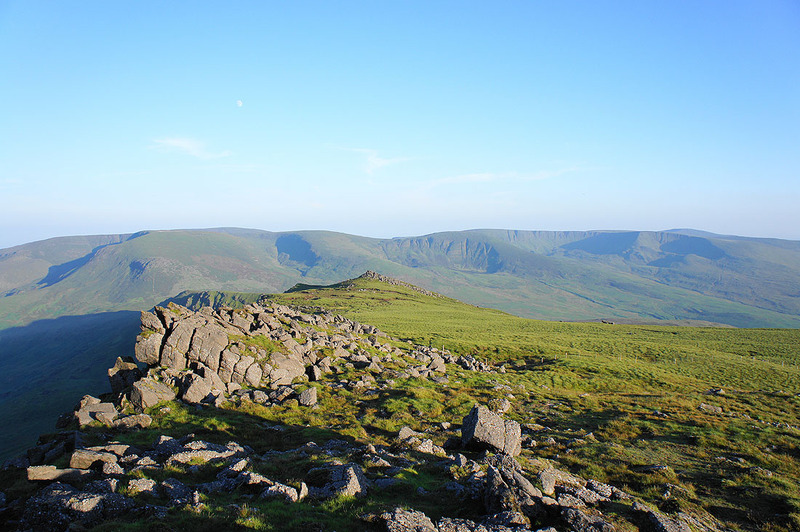 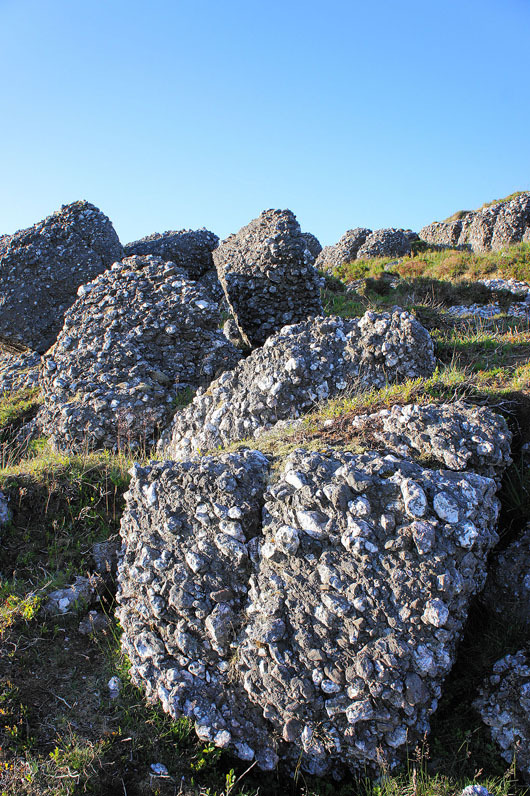 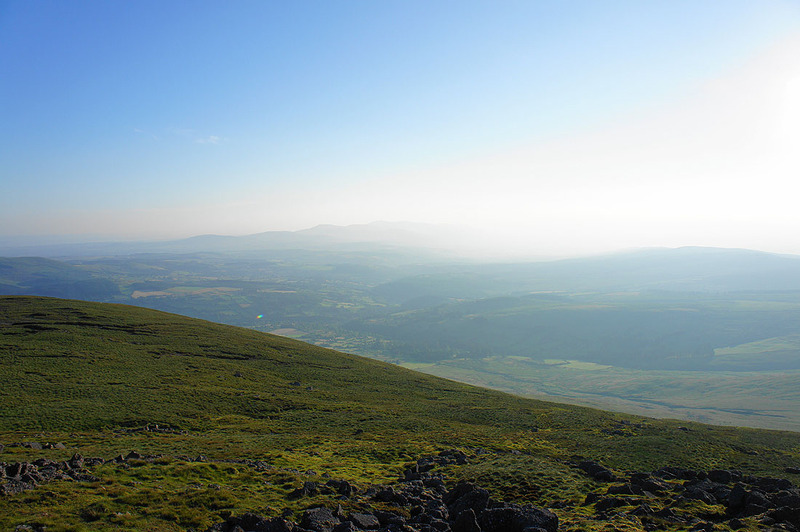 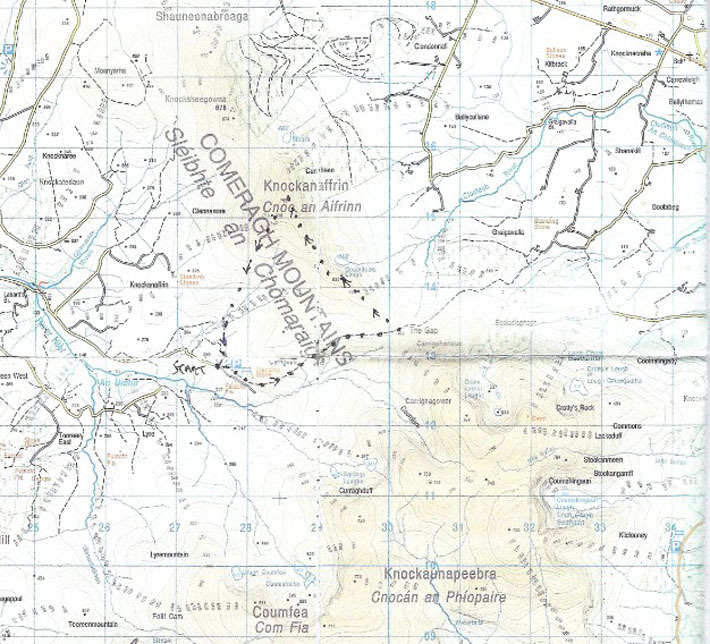 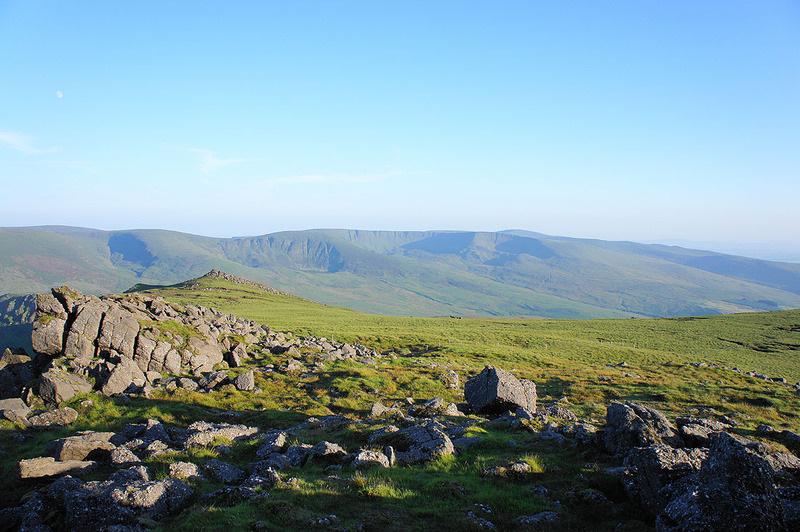 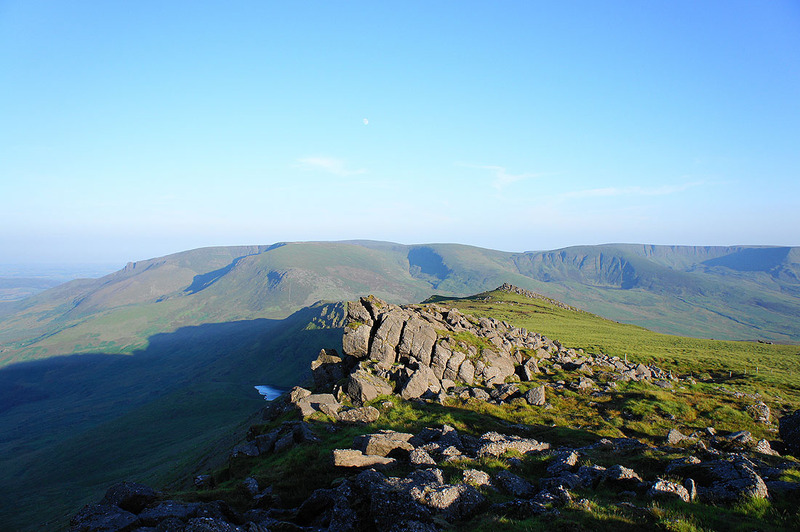 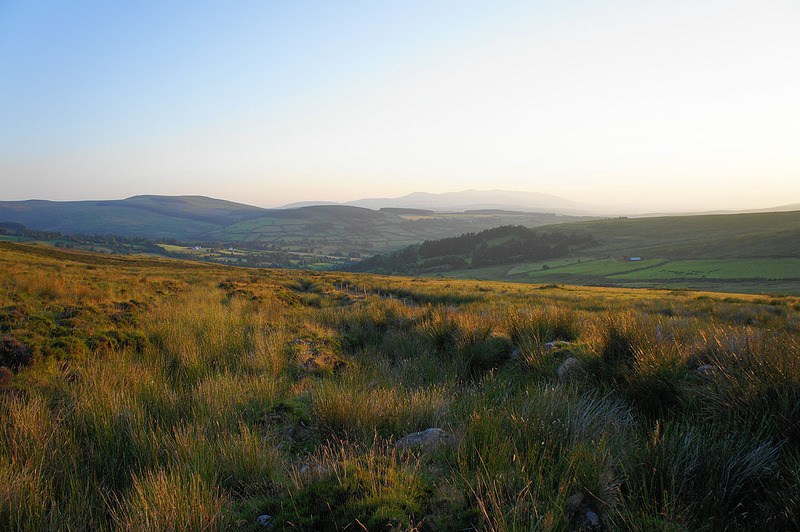 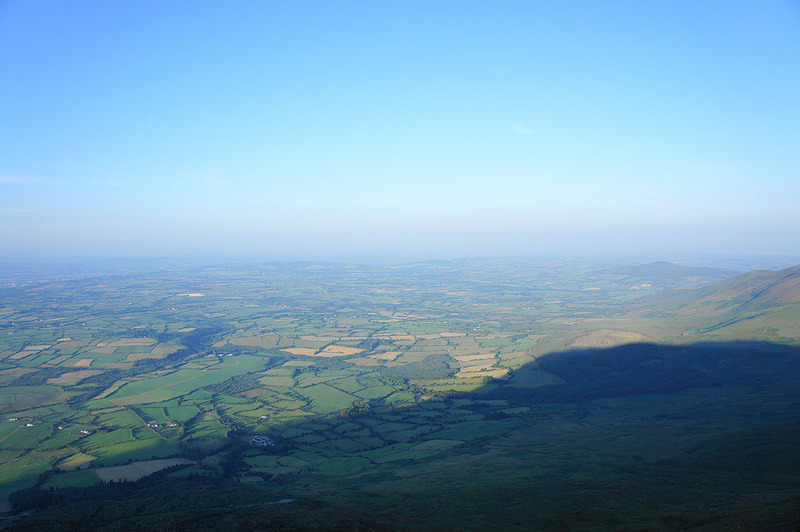 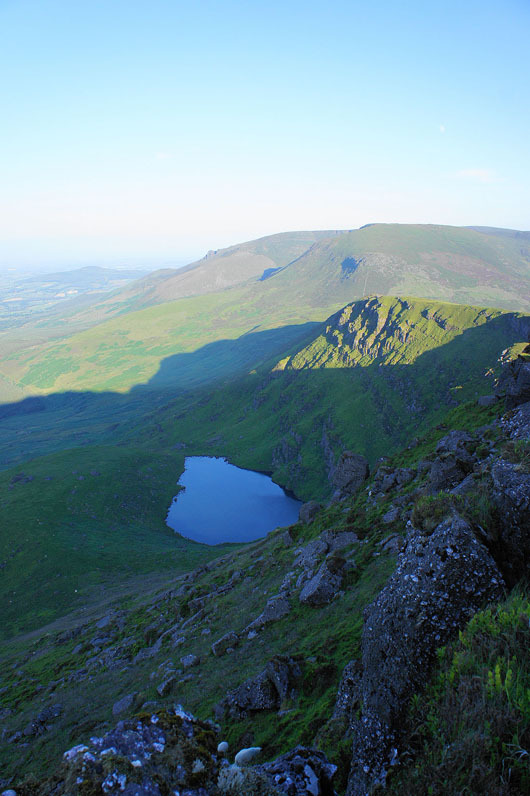 ​Another evening walk as me and Brian head for the Nire valley and the Comeragh Mountains to climb Knockanaffrin. 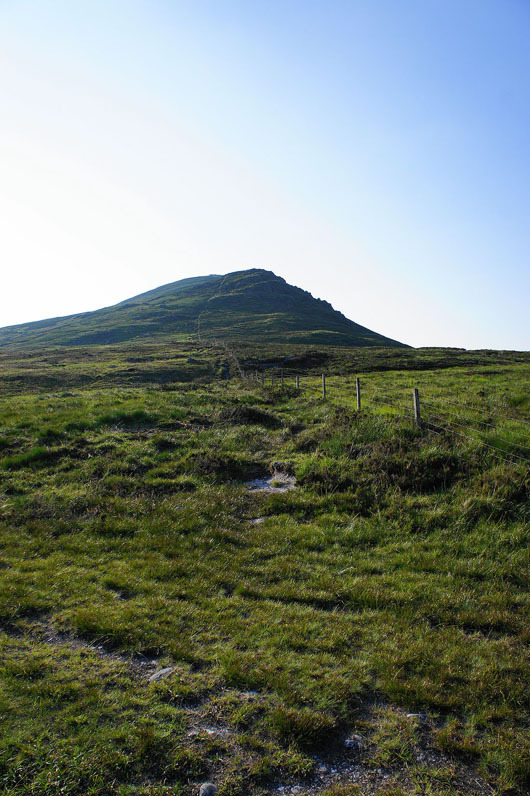 It took us about 2.5 hrs to do the approximately 5 miles to Knockanaffrin and back. 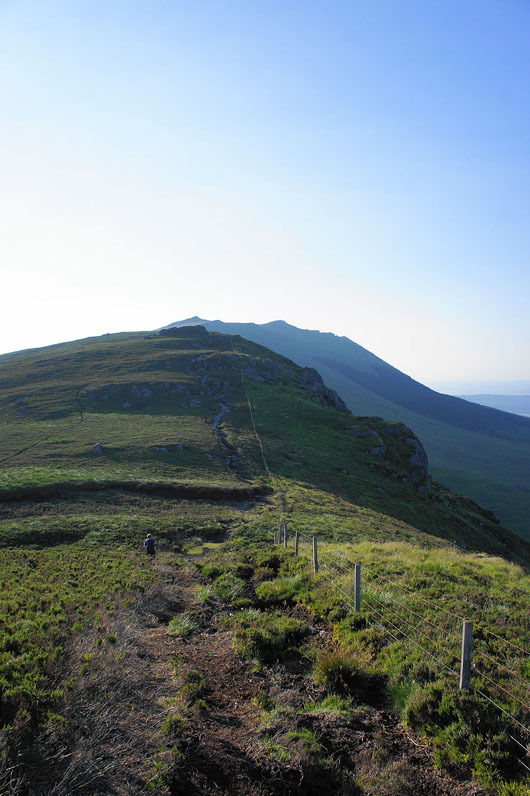 The first half to the summit was on a clear path but our route of descent was pathless. 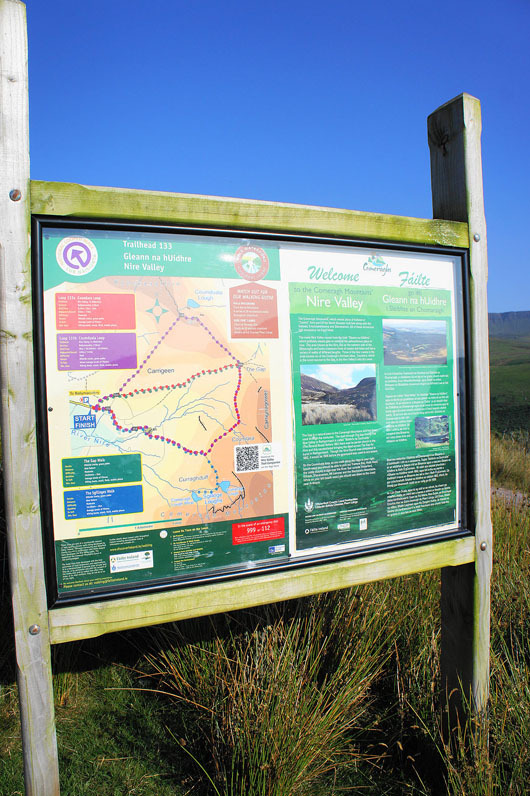 I've included a copy of the route we followed below. 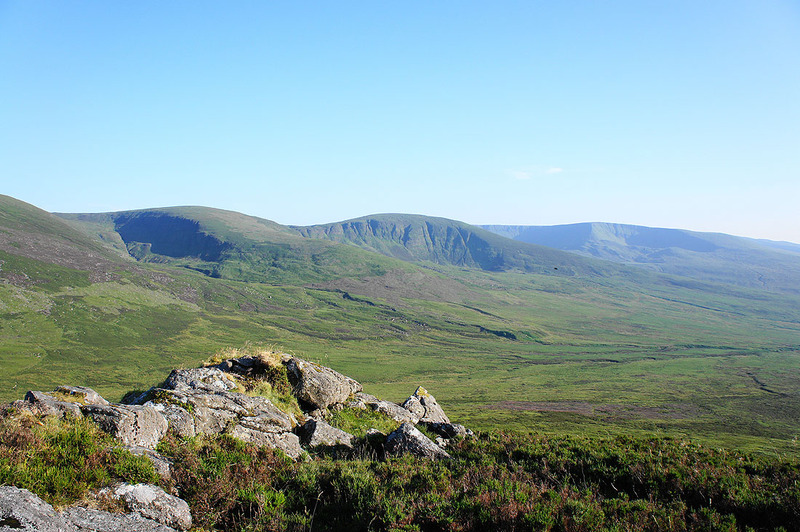 On the summit of Knockanaffrin. 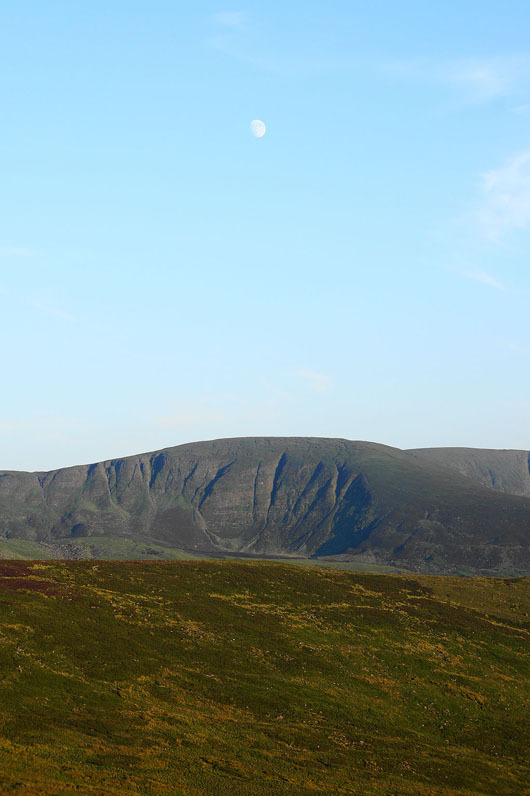 It's 20:15 and it's a lovely evening with a brisk breeze to temper the heat. 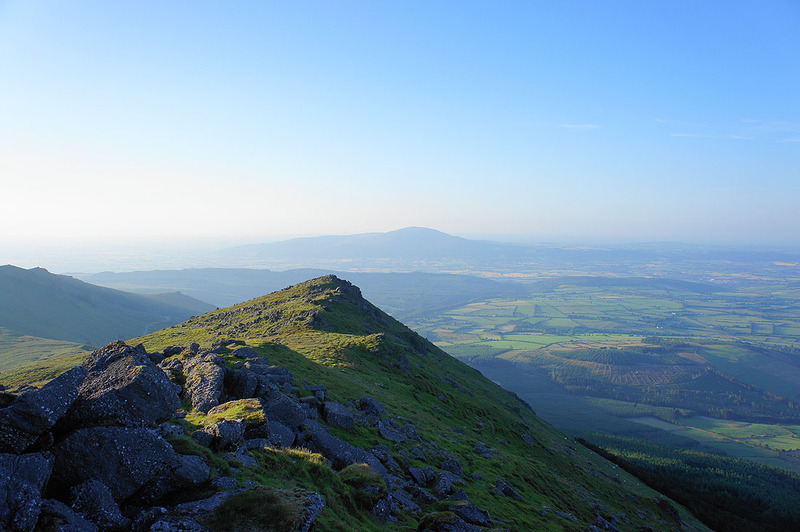 Looking south to the rest of the Comeragh Mountains. 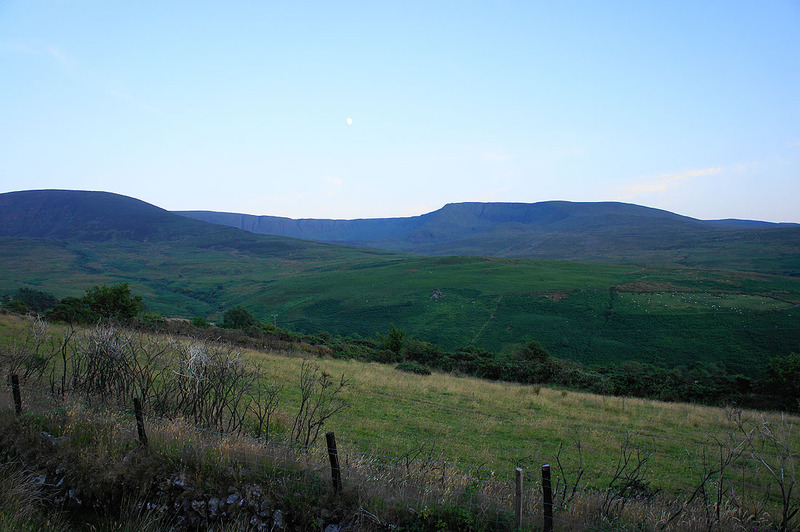 Carrignagower is to the left with Curraghduff to the right. 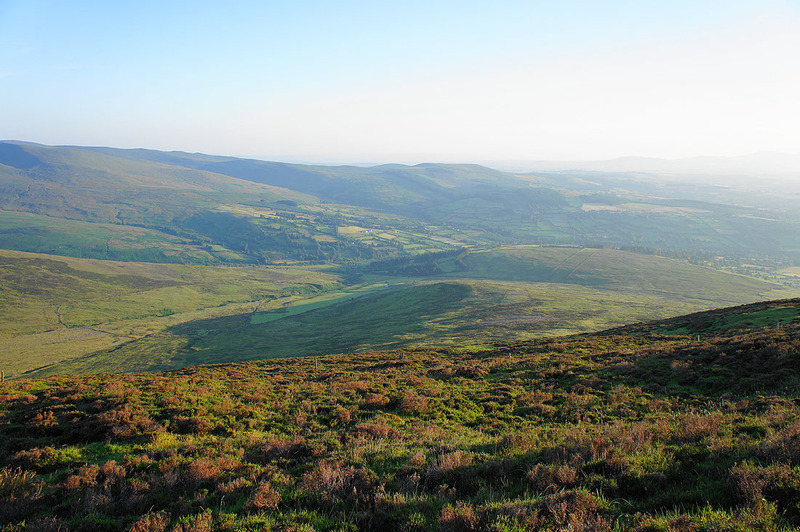 Hazy views to the east and northeast across County Waterford..
A pathless descent through heather. 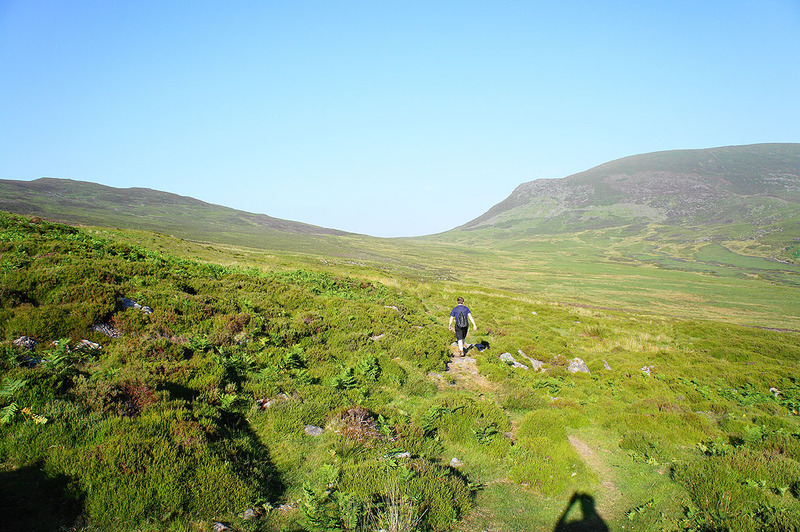 We're heading down the ridge then crossing the valley below to the left. 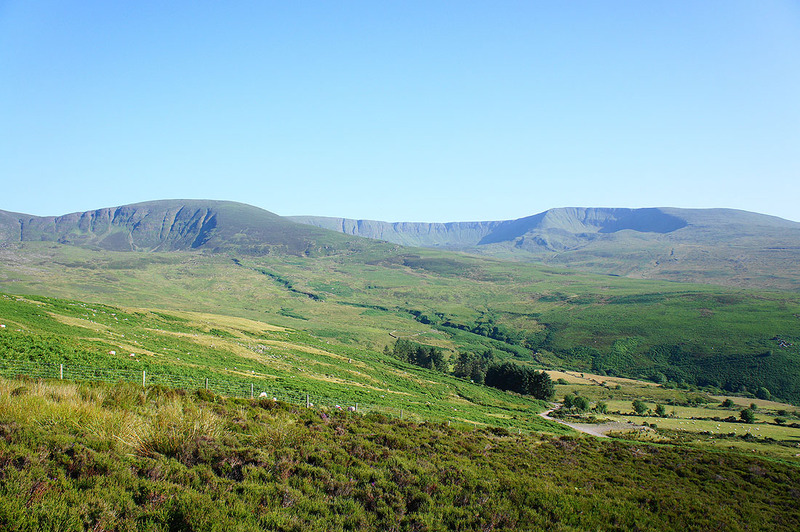 The Nire valley runs away to the right.